In many other node style editors there is a small window that shows the overview of all nodes zoomed out. You can also use this to navigate around node if wanted. This would be a great feature as it would make large compositions easier to navigate and to clearly see the layout all the time. 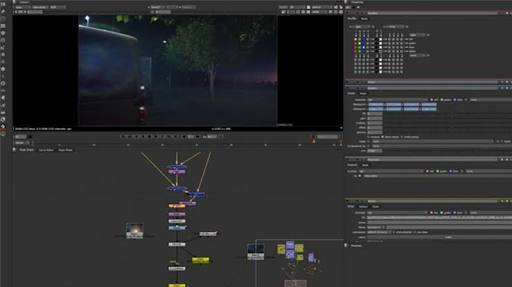 Here is an image of how Nuke from The Foundry does it. Editable Value fields on Editor canvas to increase in scale when view is zoomed in beyond actual size.